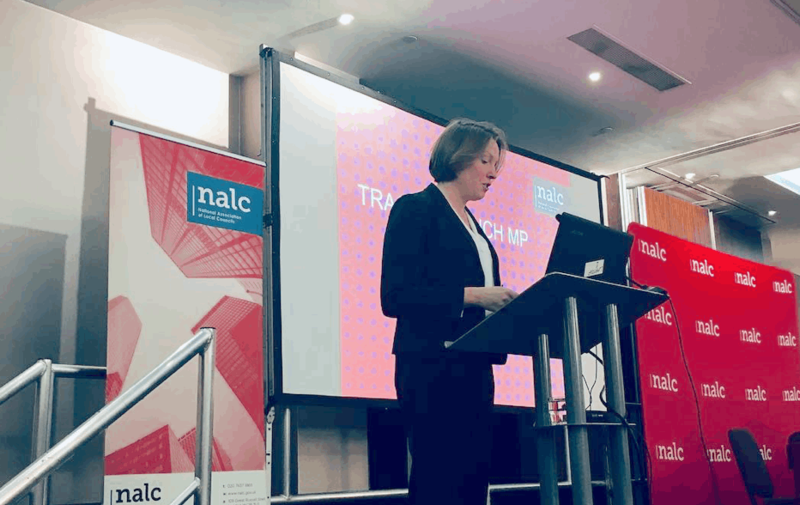 Former minister for loneliness, Tracey Crouch MP, called on local (parish and town) councils to help residents suffering from loneliness at the National Association of Local Councils' (NALC) Spring Conference on 11 February 2019. In her speech, Ms Crouch highlighted the real issues loneliness is causing in society today. She cited that loneliness is currently affecting around one million adults in Britain, which is having a detrimental impact on their health. Ms Crouch emphasised the role local councils have to play in the battle against loneliness which is highlighted in the government’s Loneliness Strategy. She also applauded some of the work local councils are doing including what local councils in Suffolk are doing with their Rural Coffee Caravan and in Kent with their award-winning community-led transport scheme. NALC has partnered with the Local Government Association (LGA) and The Campaign Company (TCC) to continue with the initiative to tackle loneliness. NALC, LGA and TCC are preparing a guide on tackling loneliness. NALC will also be contributing to a government roundtable, hosted by the Department for Culture, Media and Sport, by providing evidence on issues and projects relating to loneliness.